U.S. Senator Dianne Feinstein, D-San Francisco, served the 40 millionth meal at San Francisco’s St. Anthony’s dining room late this morning. Wearing a St. Anthony’s apron, Feinstein walked through the bustling dining room at 150 Golden Gate Ave. carrying a tray with food prepared by a team of volunteers in the kitchen. She gave members of a San Francisco family trays of food holding plates of rice, sweet potatoes, beans, bread and oranges. 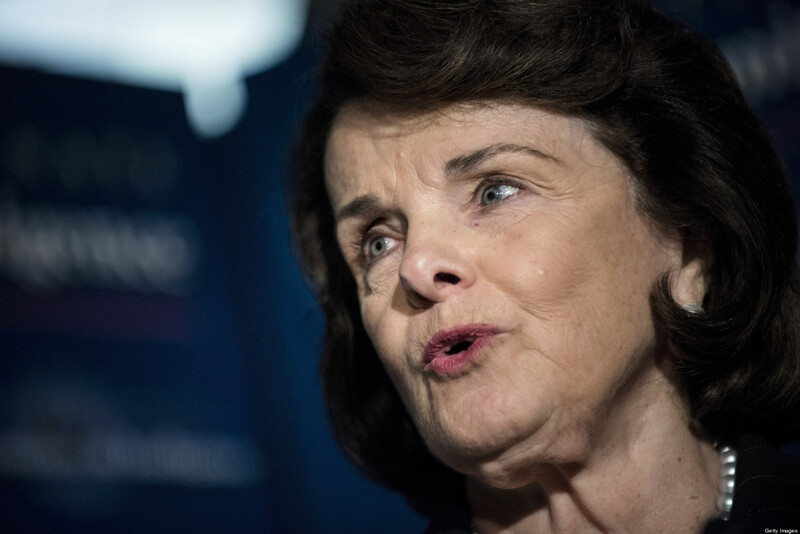 “I always serve the girls first,” Feinstein said as she placed the trays in front of 10-year-old Yariz and her 3-year-old sister Kizha and then 9-year-old Jonathan. The children’s mother, Elizabeth, sat across the table as Feinstein made sure everyone had enough to eat. The mother later said she has been visiting St. Anthony’s dining room for the past five years and has used other resources the organization offers, including help with paying rent for her South of Market apartment and homework assistance for her grade-school children. Feinstein had served the soup kitchen’s 13th millionth meal in 1979 during her first year as San Francisco mayor. The family was seated next to a blown-up picture of Feinstein at that occasion nearly 25 years before. She said the need for the organization continues and there is a steady stream of disadvantaged residents who depend on St. Anthony’s, with as many as 3,000 people served a meal there each day. “It wouldn’t be San Francisco without St. Anthony’s,” she said. Feinstein also gave the children books from San Francisco’s Alexander Book Co., and a U.S. Senate mug filled with lollipops. St. Anthony’s has been serving free meals year-round since 1950 to homeless, mentally ill, low-income, working poor, senior and veteran residents. A new dining room is under construction at the corner of Golden Gate Avenue and Jones Street to accommodate more guests. The new 10-story building will also include housing units for seniors and is expected to open by the end of the year. More information about St. Anthony’s programs and fundraising for the new building is available at www.stanthonysf.org.